Ah, NoLa. The Big Easy. Home of Emeril, Crawfish and Mardi Gras. Actually, after having spent a few days prior in Mobile, Alabama, they claim to be the birthplace of Mardi Gras. Either way, I knew I wanted to find some King Cake during my trip and get some colorful beads (by just asking for them, nothing crazy). What can I say about New Orleans cuisine? Everything I ate was better than the last thing I put in my mouth. I said "this is my favorite meal" every single day. I had my first "out of body" food experience - this is what dreams are made of, folks. The Cajun/Creole favorites are delightful, but I have to admit that I fell for the adventurous "foodie" options more than the traditional NO fare. Like Emeril, John Besh is a celebrity chef, but didn't "sell out" quite as hard. His restaurant August was on my dream/never gonna happen list. This meal was one of the top 3 of my life. In these establishments, you'll welcome an amuse bouche (a free bite); in this case, an egg shell whimsically filled with a yellow squash and garlic mousse. Gnocchi with Blue Crab and Black Truffle is fantastically decadent. You'll want to lay on these gnocchi pillows and be covered with this cream sauce blanket. The Brioche Crusted Trout is the most visionary piece of fish I've ever eaten. Not to mention the Crab, Shrimp and Mushroom topping. Every brain cell was focusing on how delicious this was. It was difficult to speak. In the Garden District, Sandra Bullock can walk to Coquette for brunch (her house is enormous) and enjoy Pork Cheeks with a Pimento Cheese Biscuit. 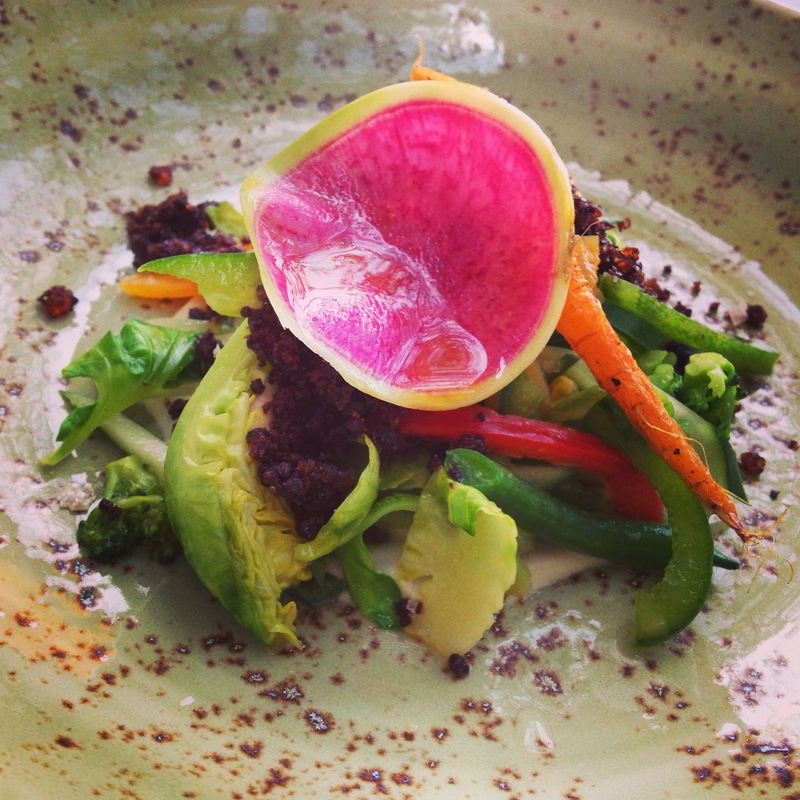 The Market Vegetable Salad balances out the richness here, with fresh, raw veggies atop a Cashew Puree with Olive Praline. The idea behind these dishes is genius. Luckily, I found the city's last few remains of King Cake - a Nutella, Raspberry rendition - and it reminded me of a Cinnamon Roll, minus the Cinnamon. I would have liked to try the classic variety, but just sampling the sweet, yeasty pastry was enough for me. 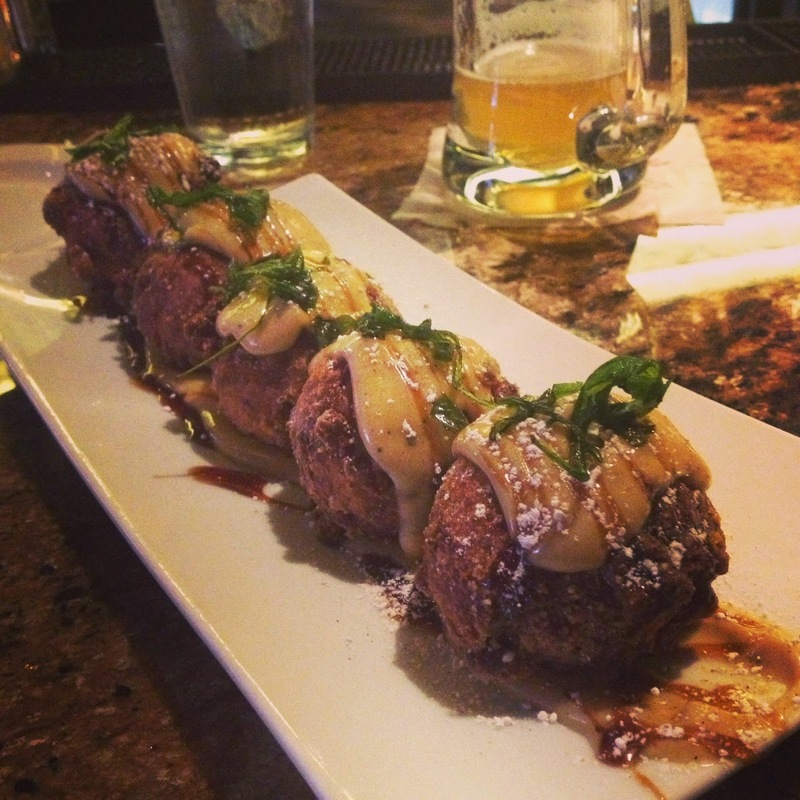 Restaurant R'evolution is lively, not too expensive, and some of the best food you'll find. Especially if you like freebies. After a Black Eyed Pea amuse bouche, the Beef Tartare is served with Pickled Vegetables, Grilled Crostini and a smear of Black Truffle sauce. I couldn't get enough of this combination. It was reminiscent of a cheeseburger - everything just worked. This is what food is supposed to be. 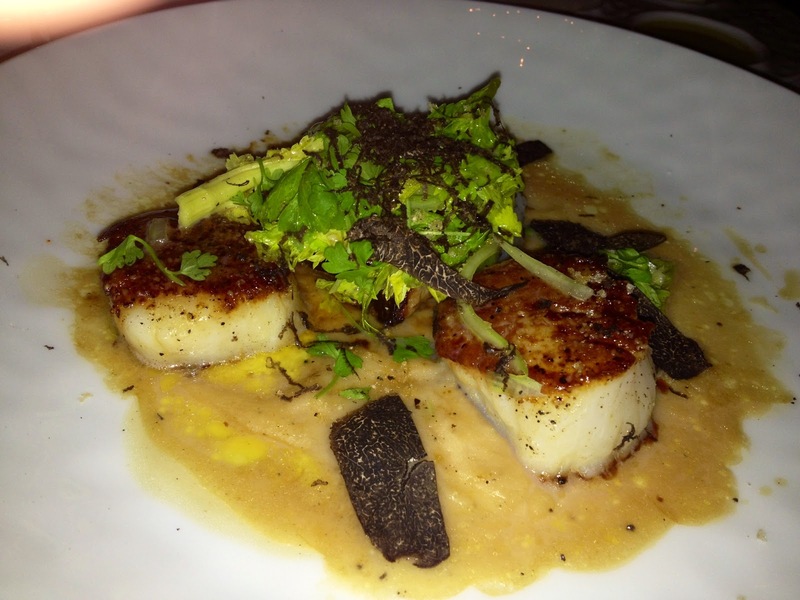 The Scallops with shaved Black Truffles, White Bean Puree, Celery Salad and Foie Gras stands out as one of the richest dishes I've ever had. I thoughtfully chewed each bite and was very aware of the delicacies I was eating. White Chocolate Bread Pudding Creme Brulee is the most outstanding dessert I've had in a restaurant. The custard-like dessert is so full of White Chocolate flavor, with Salted Caramel, Lemon-Scented Apricots and Pistachios on the plate. I thank my lucky stars I found this dessert. As if this place was meant for me, a mini jewelry chest appeared, with a bite-sized dessert in each drawer. Strawberry and Raspberry Shortbread Bars, Rocky Road Fudge, a White Chocolate Rum Ball, a Cake Batter Cookie and White Chocolate-dipped Crostini made my night, and made the trip. 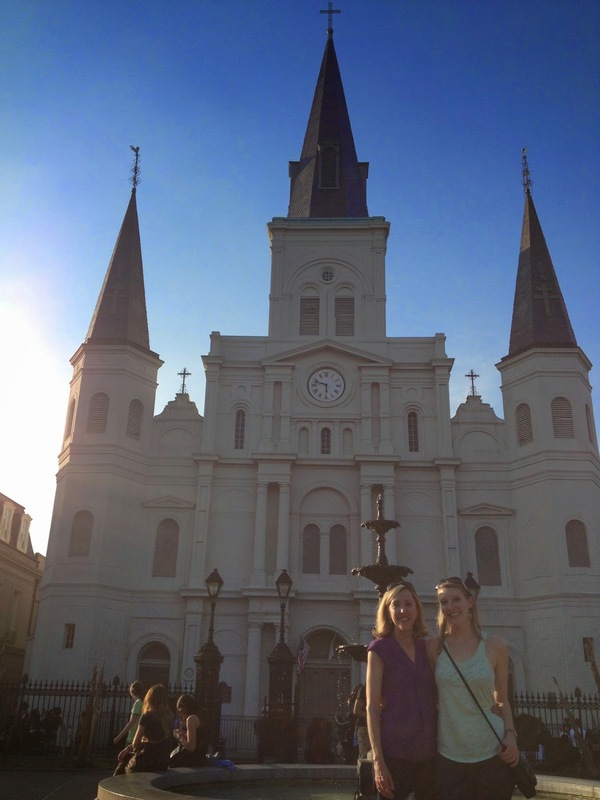 Put New Orleans on your to-visit list. Happy hour is 10am-4pm daily. The Garden District is gorgeous, the St. Charles Streetcar is old-timey, Canal Street makes you feel like you're in Miami Beach. This place is a fun escape. Nola is my 3Rd favorite city right after Winston and Philadelphia. I've never been to Philly, but I LOVE the TV show "always sunny"!! Nola is insanely fun!